I got neither. So I called. I was assured that my box had shipped the week prior, that all Canadian boxes had shipped, but due to a mix up, there were no tracking numbers generated. I asked then how I would be able to know my box actually DID ship, and how I would know if it went missing or was just taking a long time. I was told that when it hit Canadian customs the tracking would update. I said the obvious "what tracking number will update? I thought there were no tracking numbers associated with the boxes". This question confused the heck out of her. She had to put me on hold for a good 5 minutes while she found out. When she came back, she assured me that the tracking would updated once it hit Canadian customs. I said again that it made no sense, because in order to update, that meant there WAS a tracking number. She just said that was all she knew but I would get tracking number information when it was generated. Made no sense. But it is true. I got a shipping notification on Tuesday the 12th. Saying it had shipped that day. So obviously I was lied to by the Julep Customer Service Agent. The being lied to is worse than the shipping issues. 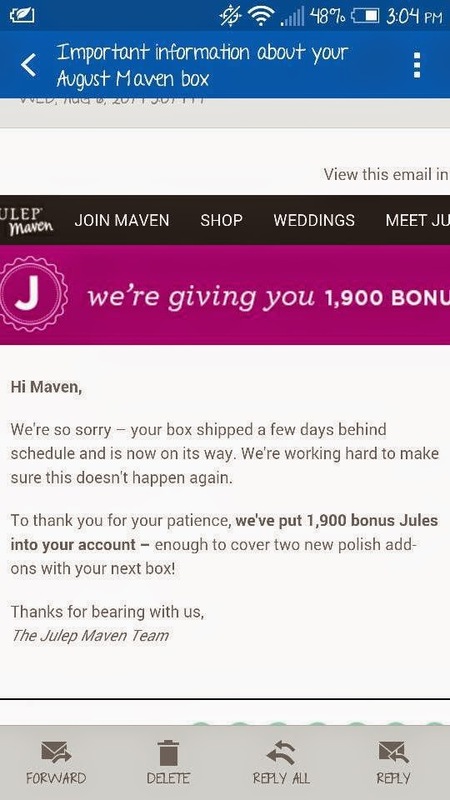 Now apparently, Julep screwed up numbers and sold FAR more of pretty much everything they had leading to a ton of screwed up maven boxes. Avni, all the liners, and others are listed as permanently out of stock and people are getting random replacements and many are getting refusals of refunds for the items they DONT want and DIDNT order. Now the biggest problem is that there has been ZERO communication. 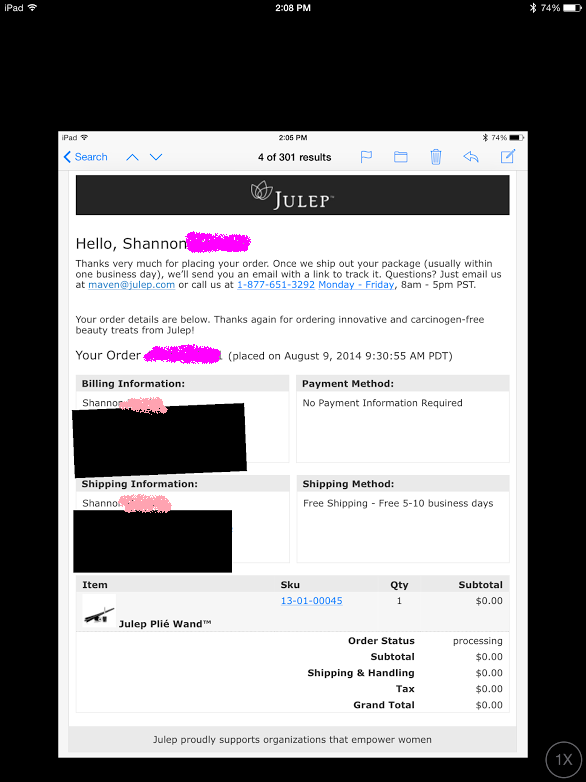 Julep never sent out anything to many people. This is what my account on Julep looks like. May box, wasnt sent until the end of May, here are some Jules, July box wasnt sent until weeks later, here are some jules, August box was sent 3 weeks late, here are some jules. This is not a one off. 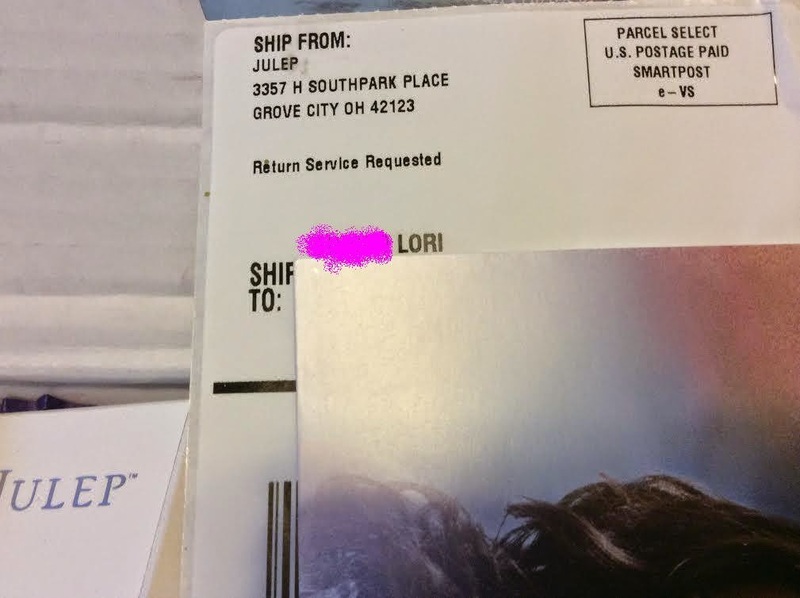 Its becoming more and more and more common to have major screw ups in shipping, and its becoming more and more common for people to not be satisfied by calling Julep. Remember the response to Attorney General that Julep sent recognizing they were growing too fast? WHY ARE THEY STILL ACCEPTING NEW MAVENS????!!! 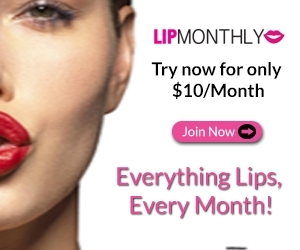 Why is there not a waiting list like Ipsy, and others have? Topbox had a waiting list when it was growing, many do. 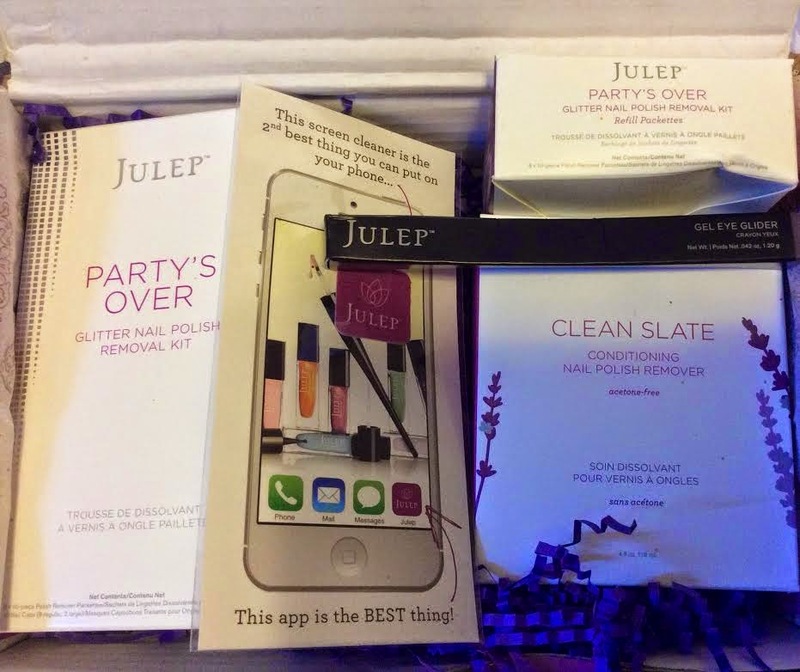 At this point, it seems Julep simply doesn't care about its customers. They just want more and more. And it doesnt matter what happens to those they have. I am beyond frustrated and beyond my limit. 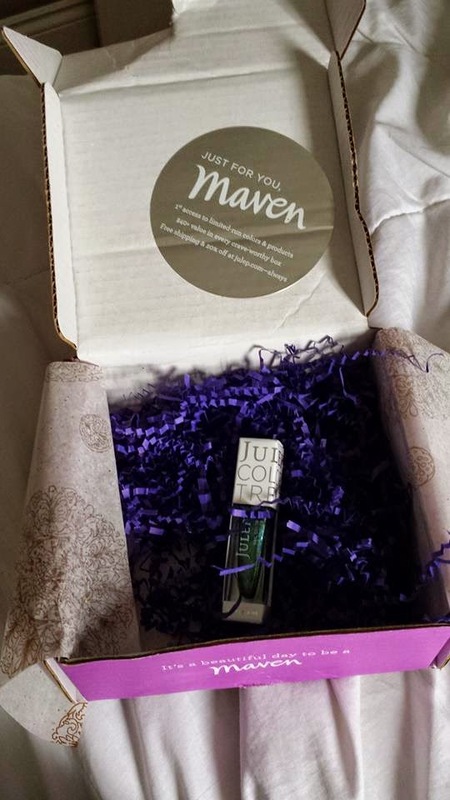 And since my maven monthly box didnt ship until 2 days ago, I likely wont have it anytime soon, I posted a question on my facebook wall today asking who got a wrong box from Julep. Here are SOME of the responses. If I posted them all, it would take all day. Alice sent me this image and note: Here's mine. 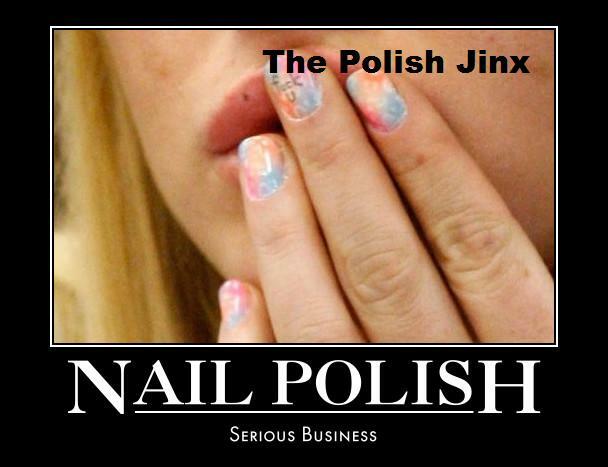 The polishes are correct. The surprises: 1 eye primer, 4 extra eye gliders, the eye shadow palette. I know I qualified for a free gift for buying 3 add ons, but I don't think all those extras were an intentional free gift. Stephanie sent me this image. She was supposed to get the it girl box with waleska add on. And instead she just got the add on! "As you can see, I'm missing my main two colors from the box. I ordered India and Waleska and neither were in the box. I only got my add on. Luckily I ordered one or my box would have been pretty much empty! I did receive the correct eye liner tho. That's.... good for a nail polish company?" "Here is my julep box story. 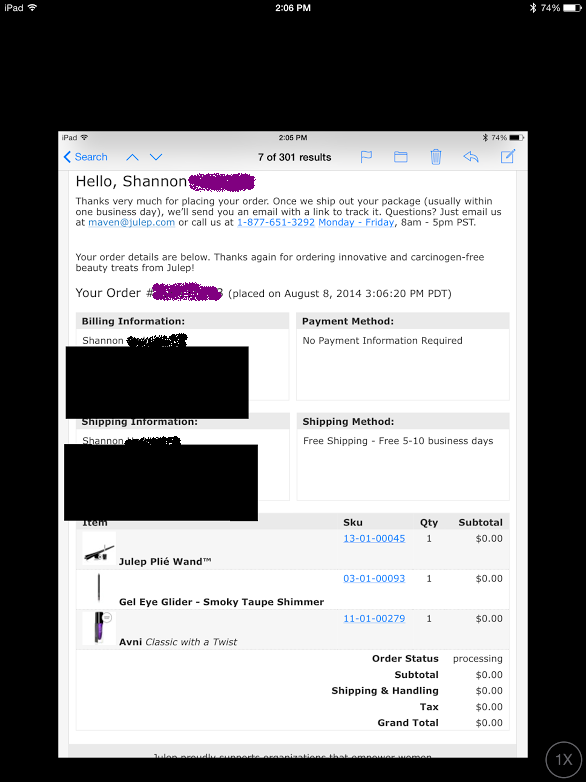 I ordered CWAT (my normal profile) and added on a plié wand. I did not use Jules so my total came to $32 and some change. My box arrived on Friday August 8th. I was pleasantly surprised as I knew there were going to be a lot of delays. So I was happy...until I opened my box.There was nothing in it that I ordered. In fact the return label was even wrong. Luckily I had enough time to call them and miraculously I was able to get through to someone...but sadly they were out of part of my original order (Katie and the blackest black eyeliner). There was no option for a partial $ return offer. All that was offered was Jules or another polish from the wanderlust line...and there were very few options left. I told her I had no interest in those colors and that I was really disappointed with this. After all...this wasn't my mistake or fault. I chose my maven box the day the Maven window opened like a good little maven. In the end I chose the Jules and figured I would still get Avni, an eye liner in a different color (she offered that as a replacement for black being out), and the plié wand. Fast forward to the next day and I start reading that ALL of the eyeliners are sold out and have been...same with Avni. I'm confused. So I called and the person I talked to told me that whoever I talked to yesterday lied...her words...and that they were sold out of Avni and all of the eyeliners. But the plié wand was available! I was livid. I paid $32 for a nail brush. I expressed my disappointment. Once again a refund wasn't offered but Jules were or a polish substitution or even an eyeliner substitution from a different line of theirs. I chose the Jules. The only wanderlust colors I really wanted were gone. I didn't want to sit on the phone and hurriedly look through swatches of polishes and I didn't feel I should have to. So fine...Jules. I'm not really happy or satisfied with the solution and I will tell you why. It's because they haven't addressed it. They haven't taken the time to email or Facebook about the problem and explain it and APOLOGIZE. My case wasn't an isolated incident as you know. What also bothers me is seeing that people got the polishes I was supposed to that didn't order them. It's obviously not their fault and I hold no ill will towards them at all...I hope they enjoy them. But this is where I wish julep would address this issue and take some responsibility. Feel free to use my pictures. I would prefer my full name in the pictures not used...also if you could black out the name of the woman's box I received I would appreciate that. I just wanted to include it to give you the full picture. Good luck and I can't wait to read your blog! I loved it when you wrote about Bondi. That jerk screwed me over but luckily I did eventually get my money back. Thank you for taking him on." Now, if I were Lori I would be LIVID. And I hope Shannon sent a message to Lori telling her about the mix up. To send someone else my billing address would send me through the roof! And this seems to be a very common situation right now. 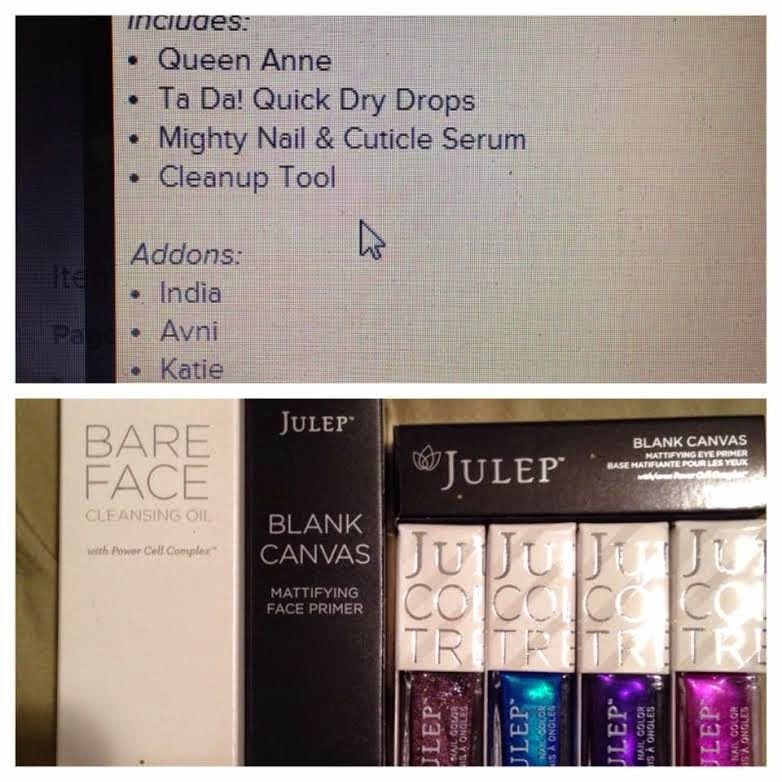 Julep unable to fulfill the orders, yet REFUSING to give people refunds. That is INEXCUSABLE! 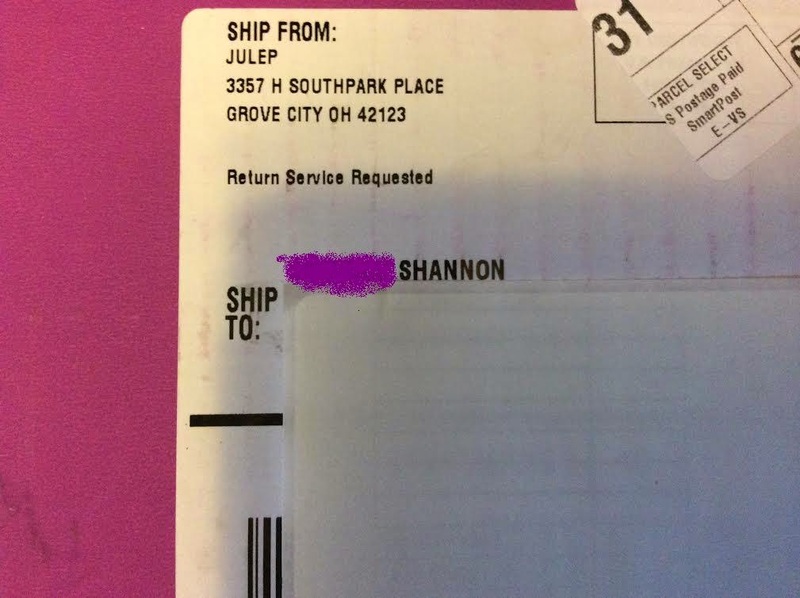 So here is her first confirmation of the replacement items Julep said they would send her. None of these were in stock, but they sent her this anyways. And had she not called them back, they never would have bothered to tell her that this order was NOT going to be fulfilled. here is her NEW replacement order. A day later. Now please trust me when I say there are tons more. I could spend all day posting the pictures of the empty box one girl got, the box taped on the wrong end (literally), the one that got a chewed up pen, one girl even got 3 sets of partys over remover wipes instead of her it girl box. The madness has to stop! I know of a lot of people who are cancelling as this month was the last straw. One more month like this, and I am not sure the maven program can survive. It is not just the blatant disregard for mavens by ways of no communication, ridiculous and unacceptable shipping times, and wrong orders (though the wrong orders this month were beyond inexcusable) but that they are still pushing more and more promotions, refusing to refund people for orders that they fully admit they can not fulfill and they just started ANOTHER new maven sign up promotion. im still on efnet! haha! We're such geeks. I didn't know anyone was still on there. What was your nickname? I started using it like way back in 1995!! In other news, I received my full upgrade today with my correct add on - sushmita. It's all there, nothing missing. But, they also added queen anne which I didn't order. Not gonna complain...but still makes me feel really shady with what's going on and I will probably skip for awhile...I'm scared. And yay for you getting your box. Mine somehow came today but was totally screwed up. My box had my moms shipping label, hers had mine. Mine had avni and the purple liner but missing my green and blue polishes (added on the blue). 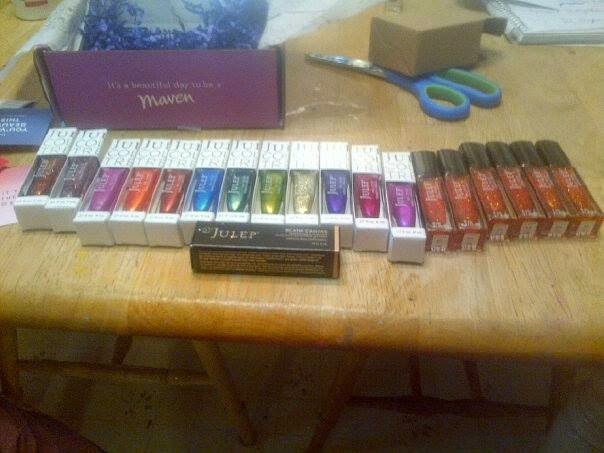 My mom got her box right but got an extra unordered polish. Ahh that's crazy, the name looks familiar so I bet we crossed paths. hehe. Bummer about your boxes, are you going to do a post about it? I ordered the box with the cleansing oil and the primer, and I received the cuticle stick and the drying drops. My polish and add on was correct. I called Julep and somehow got through and when I explained the situation and commented that I was aware that MANY people got incorrect boxes, he feigned ignorance and acted like I was one of the only ones. So now my box is on its way. Here's hoping it doesn't take a month and that it's actually correct! I have been a loyal maven for well over 2 years now and this is the first time I actually want to cancel. Thanks for the wonderful post and investigative work! I made a mistake on a secret store order and wanted to cancel it and start again to fix it. I couldn't get anyone in CS to respond. It took 5 calls (no one ever answered), 1 voice mail, 3 e-mails and almost a week and a half for them to finally e-mail me back. A little too late to cancel my order, cause they'd already sent it out. They really need to give us a quick way to cancel an order or cancel being a maven without having to call them. 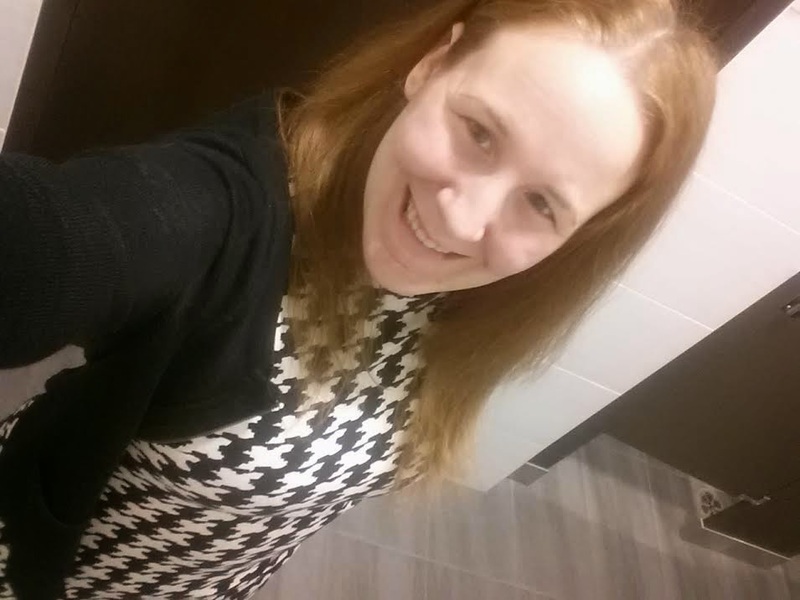 I was really annoyed with this month as a maven. I'm in Ontario; I logged onto Julep around 10-11am on the first day of the Maven selection window, and I liked most of the polishes this month, enough that I would have taken the polish upgrade, but it was sold out. I would have just added on India, but it was sold out. I would have added on the boho glam box to my It Girl box, but of course it was sold out. I checked every day to see if anything came available but nothing ever did. Now I'm kind of glad I didn't add on, cause I actually got what I ordered. 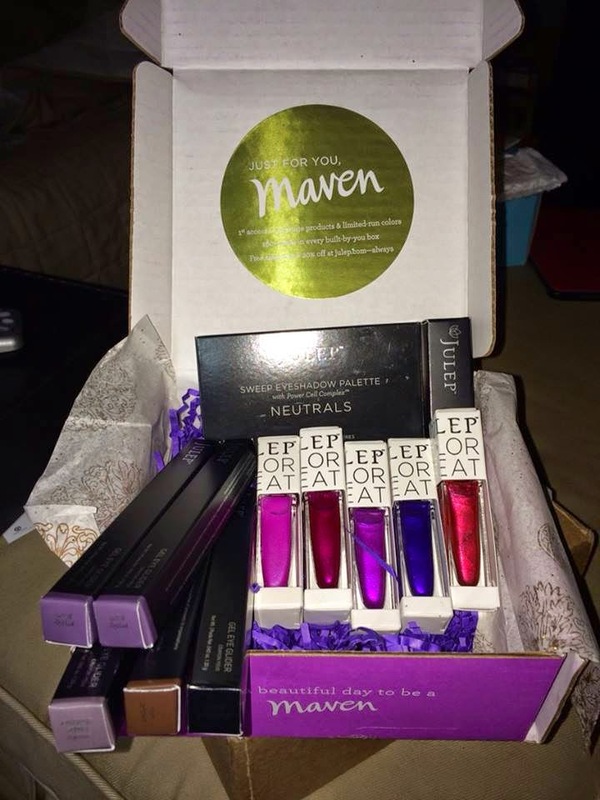 I got my maven box yesterday. I got a notice of shipment on Tuesday and it was in my mailbox yesterday. Shocking because it almost always takes about 2 weeks. I didn't get any kind of late shipping bonus Jules this time though. The message said it would now be shipping from a more central location. Glad you got the right stuff and it seems you're one of the first Canadians to get your box! Sorry you didnt get what you really wanted, but likely even if you had ordered it you wouldnt have! Yeah me too! Weird that I'm one of the first - usually I feel like I'm one of the last. I got Avni and Katie. I really like them! I think this was the best collection they've put out in a long time. I'm still waiting on the secret store box that I tried to cancel. I was sure it would get here before the August box, even though the August box should have gone out a week earlier. Thanks for posting this. It really sheds light on how far they've fallen. I agree that they need a wait list. I've cancelled my subscription until they can get it together. I was actually just talking to my beat friend about this yesterday. While neither of us have received our boxes (just our shipping notices yesterday and no word about the secret store order) I can say that in our conversation we said that we have personally never had a problem with them aside from one shipping issue during a move and another item coming broken that was replaced twice, refunded, and Jules added. I also remember this exact problem (the Aug maven issue) back whenever they did the warehouse sales. People would get wrong orders, nothing at all, some of their order while others who ordered after then would get the product they didn't which was then out of stock, etc. And I contacted them to cancel due to money issues. They offered a skip and I took it. And yet I was charged for and received a polish lover's upgrade and was one of the first people to receive their box. It's so confusing! They need to get their act together. 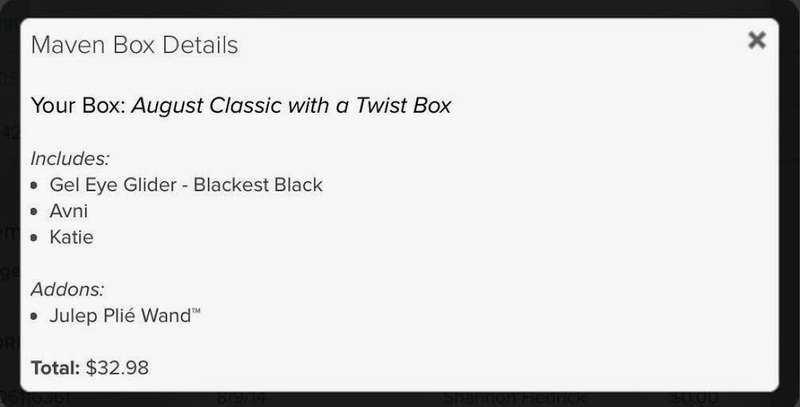 I decided to keep the box since I paid for it and do love the colors, but I did contact them about the mistake. They offered a refund for returning them but I told her I decided to keep them, so she gave me some jules for the trouble. Lot of good that does since especially now I'll have to cancel my account due to money issues and the jules will be lost! So you, who was happy to not get a refund was offered one, but those who wanted refunds were refused? How does THAT happen? I am so happy to see you post about this! I've been a Maven since nearly the beginning. Recently I'd been skipping nearly every month because the products just weren't doing it for me, and I wasn't as enthused about the polishes as I used to be. Still, I just couldn't bring myself to actually cancel. Until this week. The posts on their Facebook page were getting out of hand, and I was starting to get seriously concerned about ever ordering from them again. Reading about everyone's experiences this week actually made me thrilled I didn't order the Wanderlust box - what does that say about a company?? I finally called CS this week, got right through to a rep, and he cancelled my account AND sent me a confirmation email, so here's hoping I'm actually cancelled. He tried to bring me back saying if I cancelled, I'd lose my measly 600 Jules. Yeah....that's not enough to keep me hanging on to a sinking ship! Im in calif. I am still waiting on my box. I emailed them about all these jules people are getting. I was told that there was a error with my card. I wrote back told them no you have that wrong. I explained again. They wrote back and said, I am glad your are getting a August box this month. That is it. I have had it with this company now. That just fueled the fire to the last three months. Not getting my boxes and stuff missing and delayed. An not one time did I receive any sorry jules. Yeah, it was a mess this month. I avoided last month because I was worried how it would go with the new customizable boxes. But since there were (relatively) no problems I figured this month would be OK. Obviously I was wrong! My box didn't ship until Aug 7. I emailed them asking what was going on Aug 5, which was right around the time I saw those emails popping up on facebook where people were getting 1,900 jules for delayed shipping. They finally wrote me back 9 days later and did not offer any jules for the hassle, basically just said "sorry, we had problems with our new fulfillment center, it will be faster next time." They left my worrying for a week where my box was at, no communication. And it's really annoying that some customers are getting jules and some aren't, especially when mine was shipped after those who are getting jules. It's been a complete mess this month. I don't see how the employees aren't coached to know what is going on. I called about the Jules we were supposed to receive for downloading the app. I was put on hold and transferred to five different people and no one knew what I was talking about. I'm like, but I got a screen cleaner in my box this month that says it right on there that jules will be rewarded. They still were very confused and said they hadn't heard anything about this and one even told me they felt I was lying. Hahah I got that lame screen cleaner too, but it doesn't look like a lot of people did? I got the Jules for my box being delayed (but was told they would show up in my account after the 20th). I thought that my box would be fine due to that, but I got an eye primer instead of Joyce. It took me 3 days to get to someone on the phone because I kept getting told to leave a voicemail "due to high call volume" and of course nobody returned my calls. The lady I talked to sounded completely shocked that I would have some random product in my box instead of what I ordered, but then she said Joyce was "out of stock" and so she gave me some Jules and a gift card for another polish. I'm kind of sad about all the mishaps with Julep this summer. I've lived in Seattle for ten years and can remember walking by their salon when it opened downtown and being intrigued all those years ago. I hope they can straighten out all their issues as they grow and get the operations side of things figured out. They seem to be more focused on innovation and growth and don't have strong systems and backend operations chops to handle it.